Downtown Trenton should be great. We demand better State office building development, fostering a more dense,walkable, livable, beautiful city. By population, Trenton ranks Number 11 among all municipalities in the state. But when it comes to taxes, we’re Number 1. 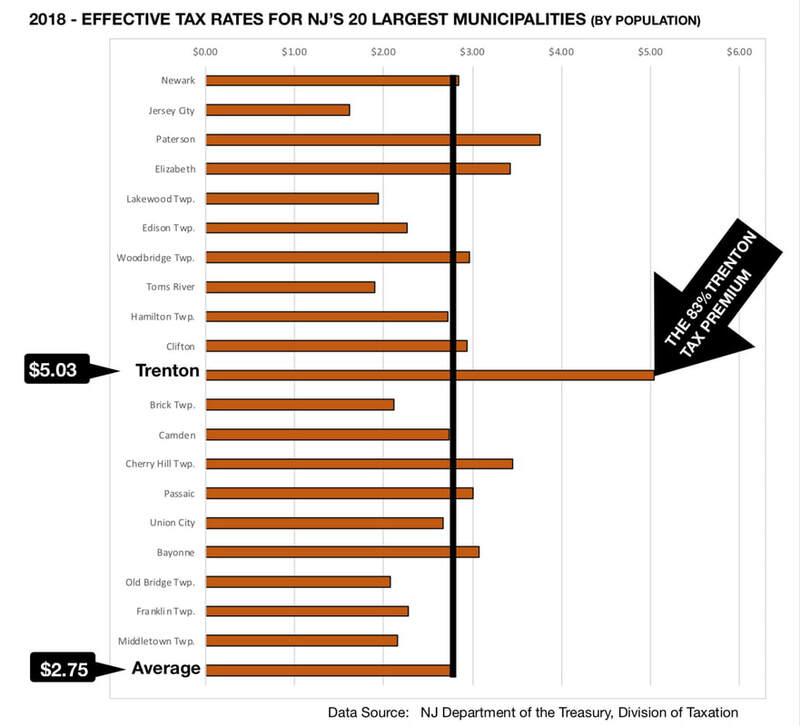 Trenton’s tax rate is 34 % higher than the next-highest among these large municipalities (Paterson). Bringing it closer to home: Trenton has the highest tax rate in Mercer County. In addition, it’s 66% higher than the average rate of all Mercer County municipalities and 26% higher than the second-highest municipality (Hightstown). And if that isn’t bad enough, the Murphy Administration is clearly quite willing to make it worse. Much worse. The $225 million white elephant -- Chris Christie's 1950s-style office building plan -- was up for a "courtesy" review in front of the Trenton Planning Board. Two building and two reviews. Both times, the Trenton Planning Board voted unanimously to let the NJEDA and Murphy Administration know that their plans flagrantly violate the Trenton 250 master plan. 3/1/2018 - The Downtowner: Stakeholders to Governor: Stop the bad building plan.